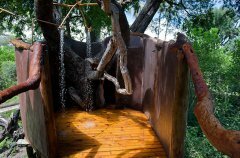 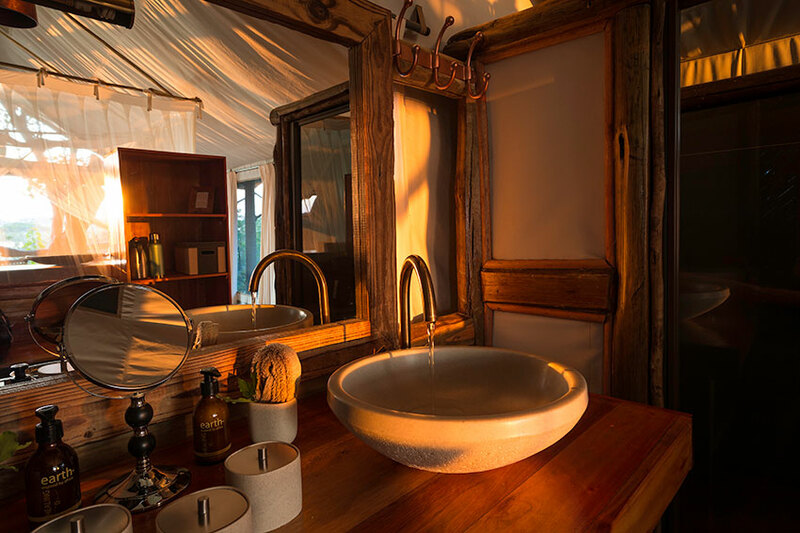 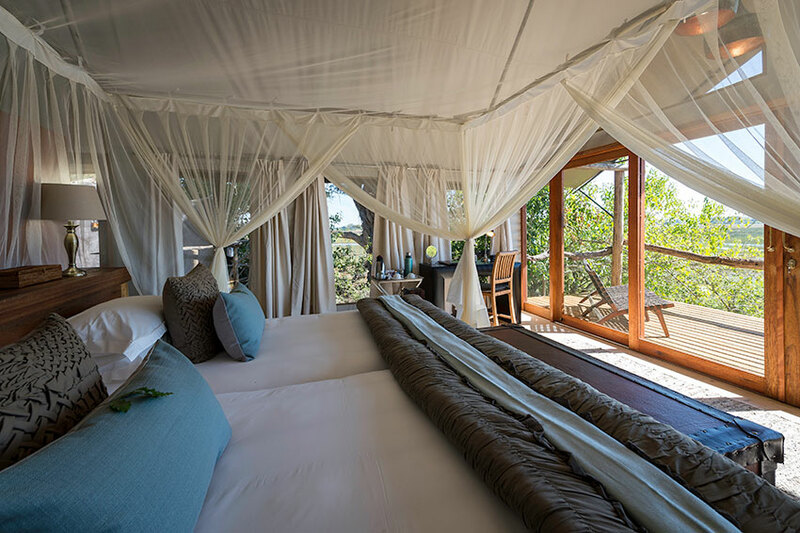 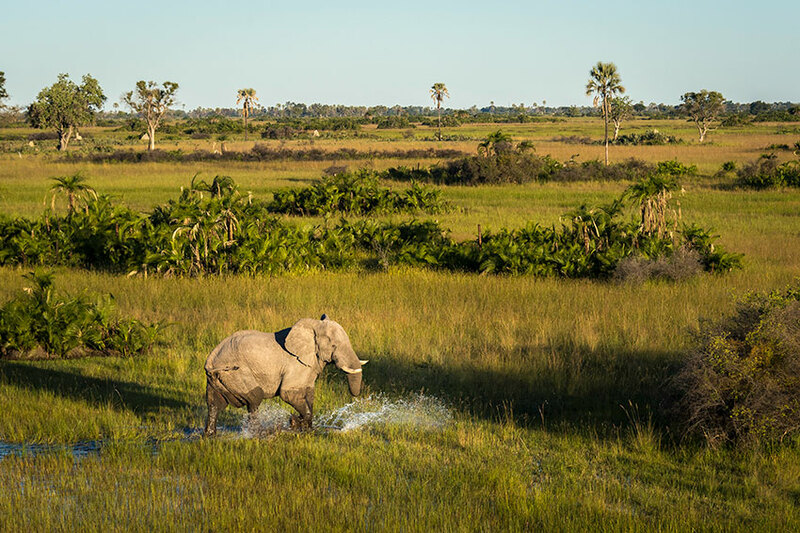 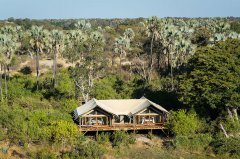 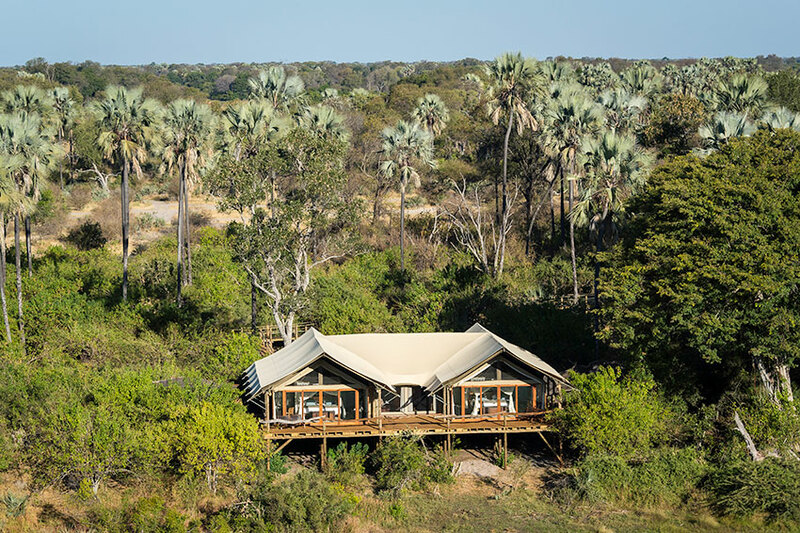 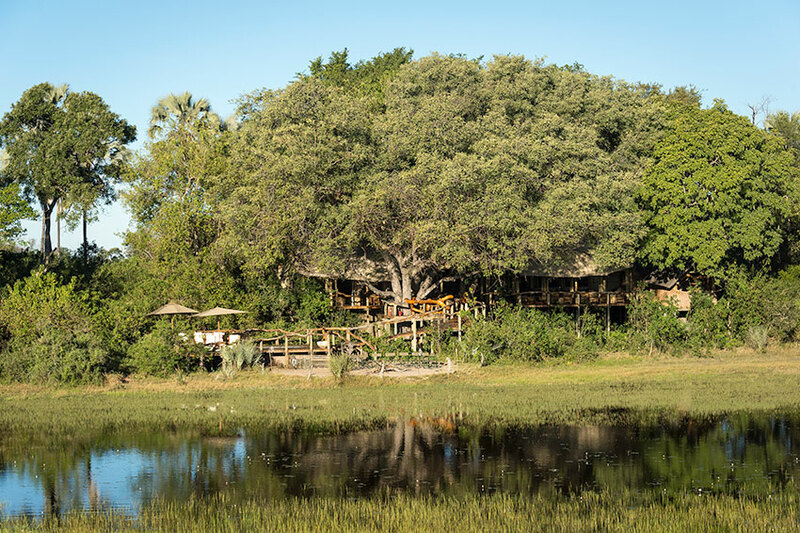 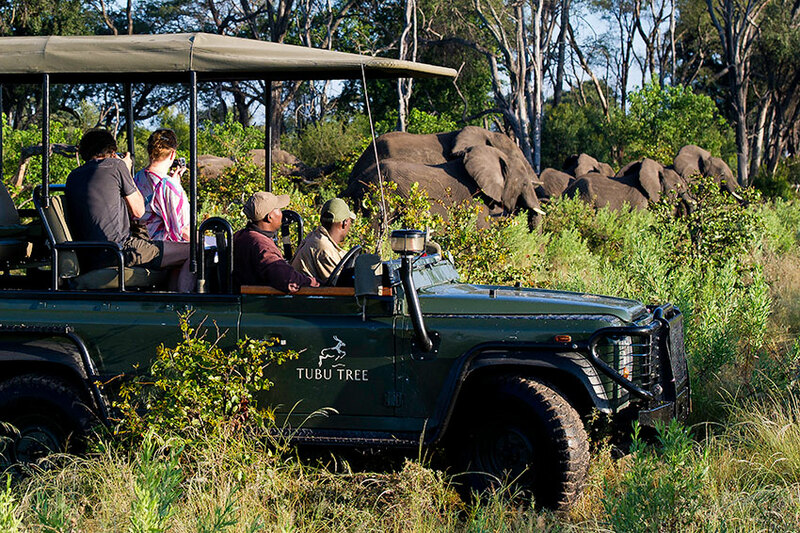 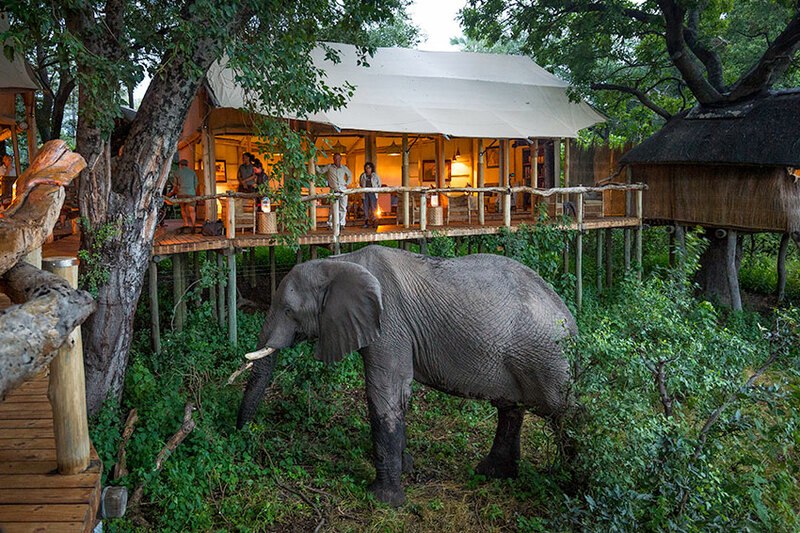 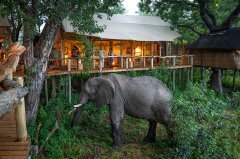 Tubu Tree’s location on Hunda Island and easy access to both water and dry-land habitats, ensures varied and spectacular game viewing. 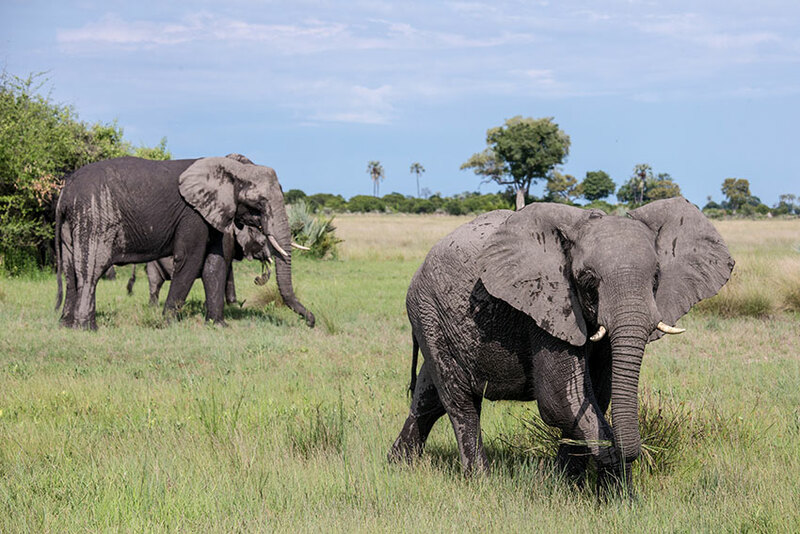 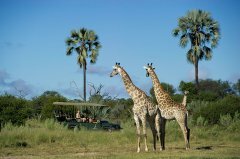 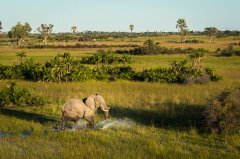 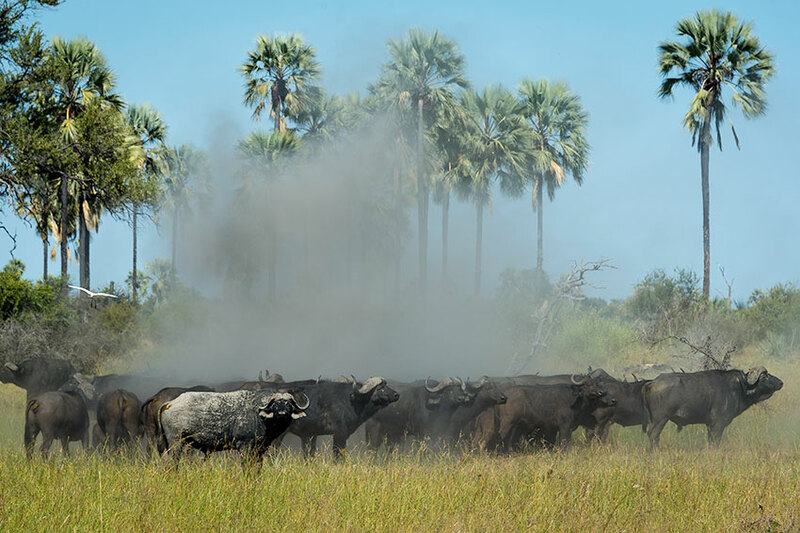 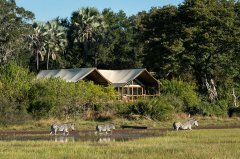 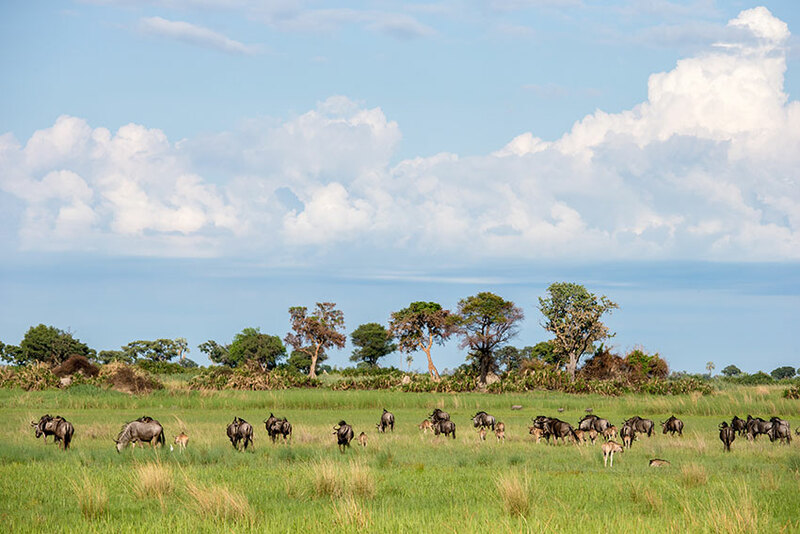 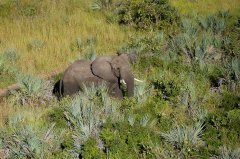 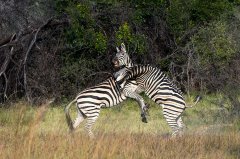 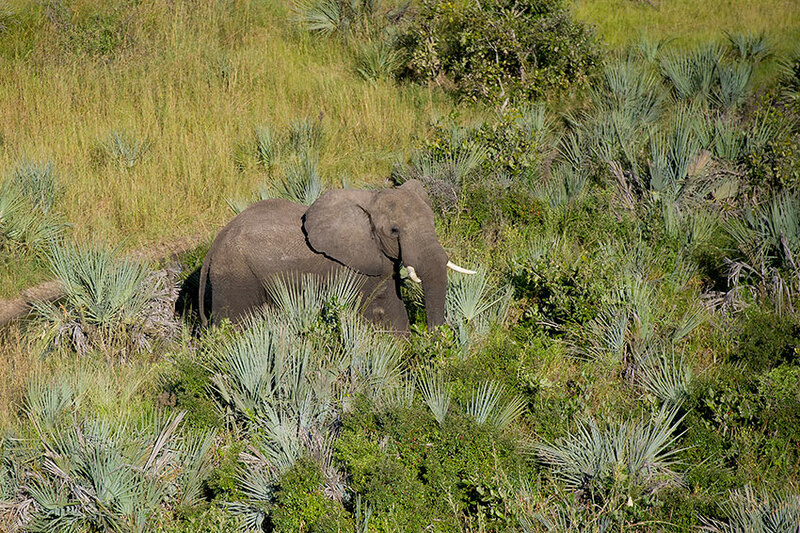 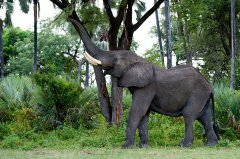 Wildlife seen around Tubu Tree includes elephant, lion, Burchell's zebra, red lechwe, southern giraffe, tsessebe, and blue wildebeest on the floodplains. 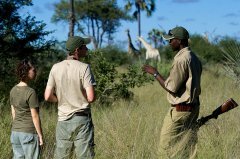 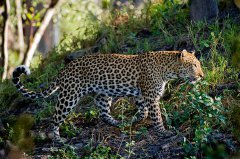 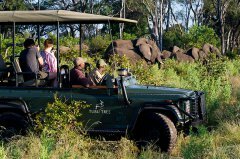 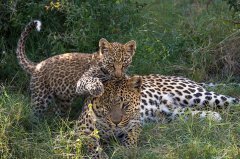 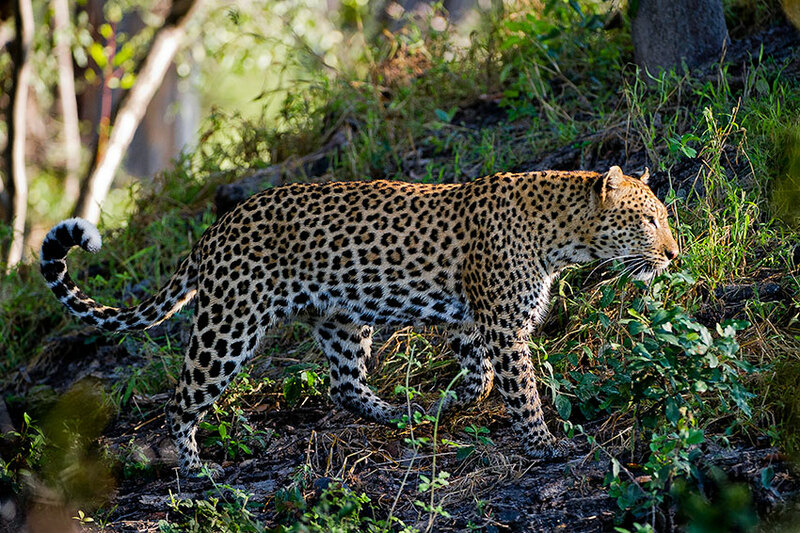 Kudu, impala, bushbuck and leopard are also seen in the forested areas. 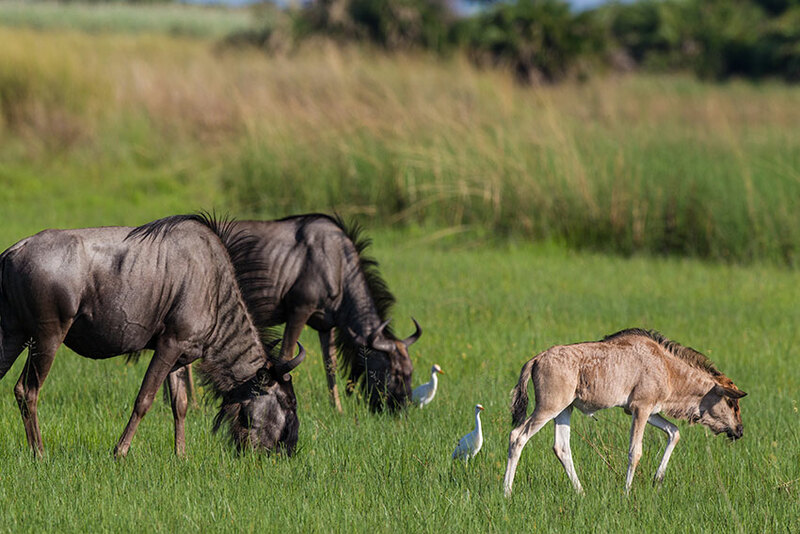 The variety of birdlife is impressive, with dry-land species seen on the larger islands and a multitude of wetland birds seen on the floodplains and waterways. 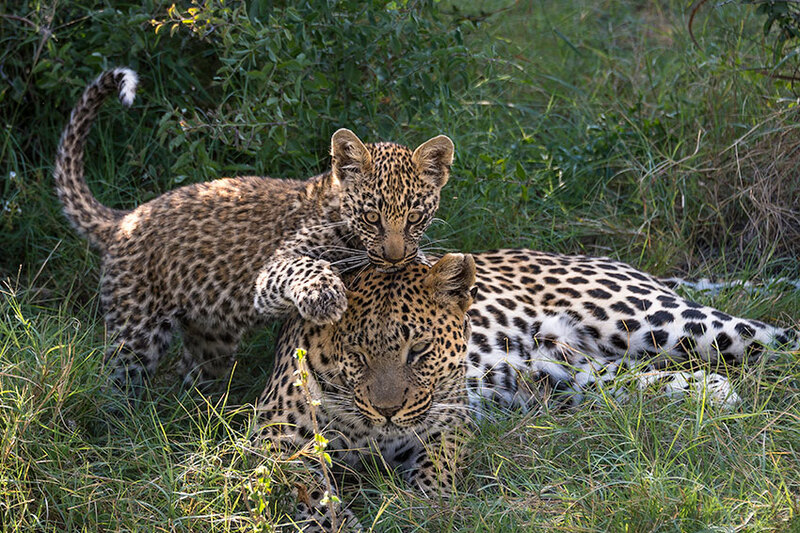 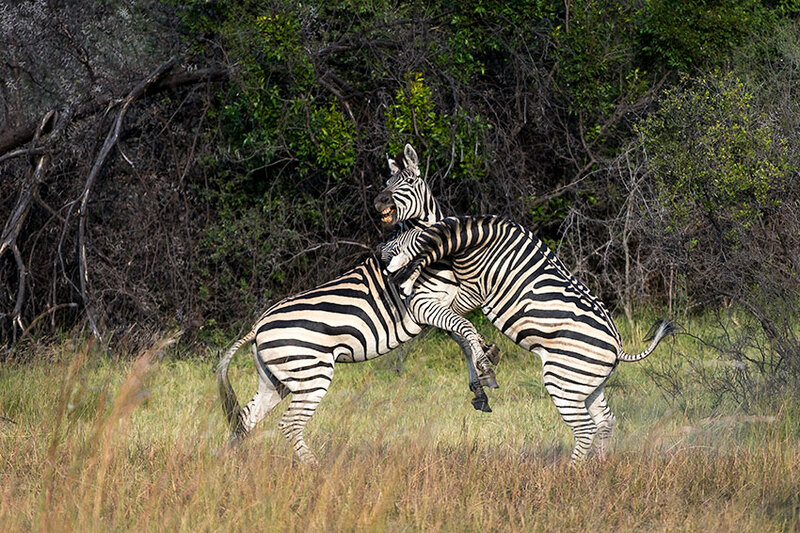 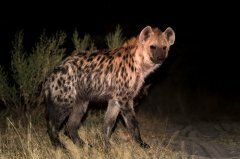 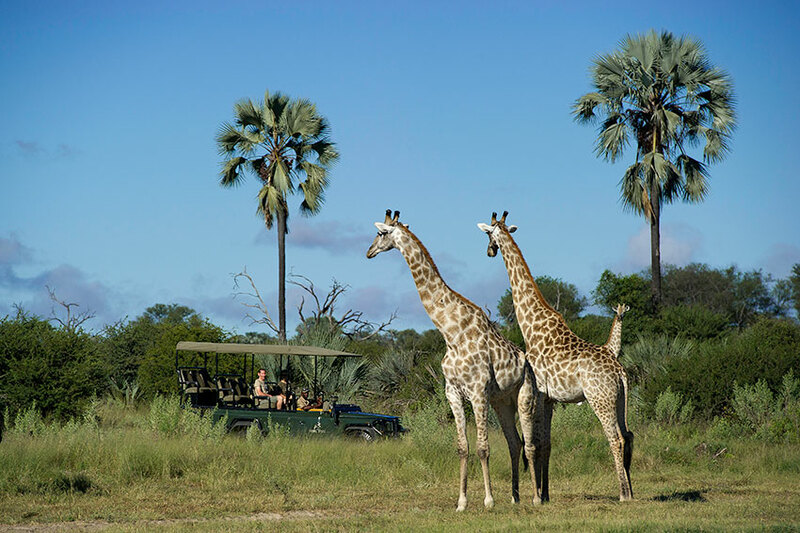 Game drive across Hunda Island in search of plains game – followed by predators such as leopard or hyaena. Float through channels on a traditional mokoro (dugout canoe), passing reed frogs and waterlilies on the way. 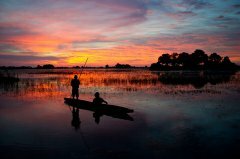 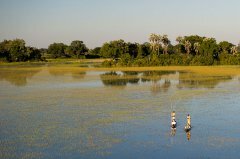 Try your hand at catch-and-release fishing in the reed-framed Okavango waterways. 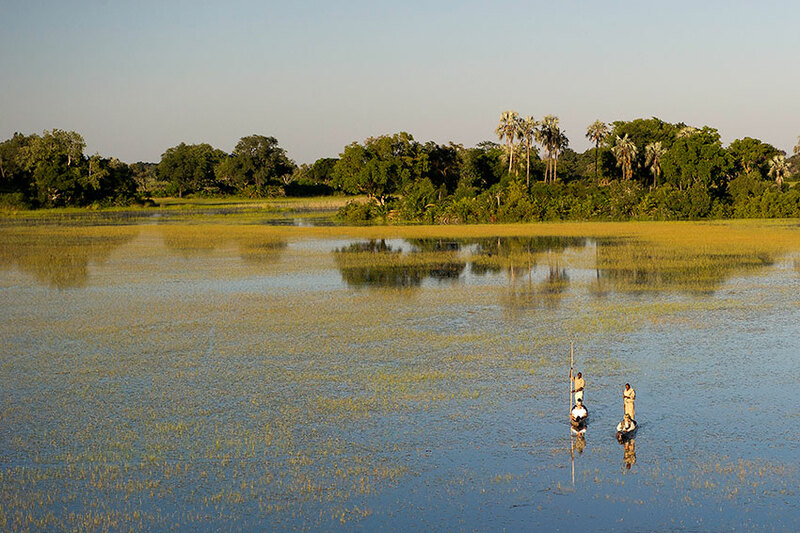 Enjoy a boat excursion, perfect for searching out its elusive inhabitants, such as sitatunga antelope. 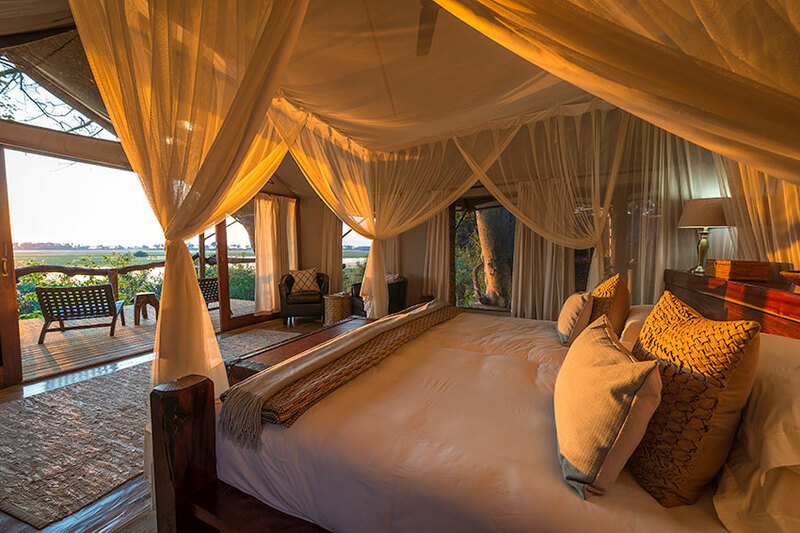 Watch a spectacular African sunset at a scenic spot – anywhere. 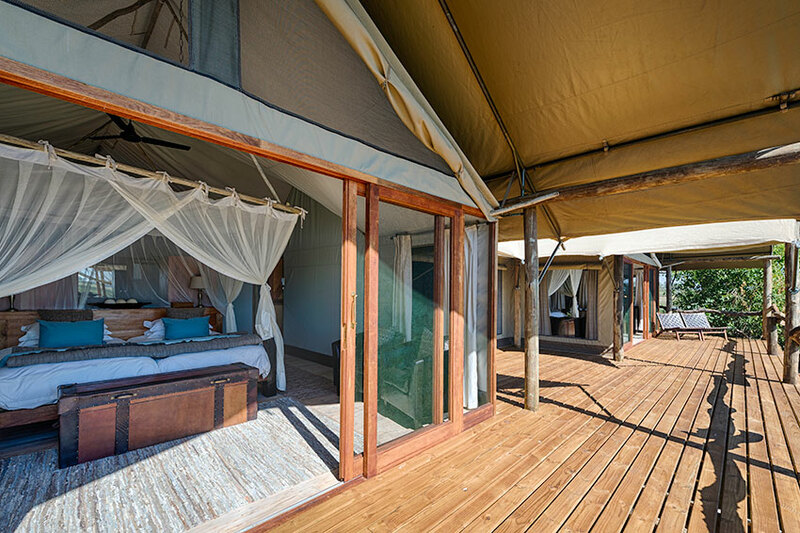 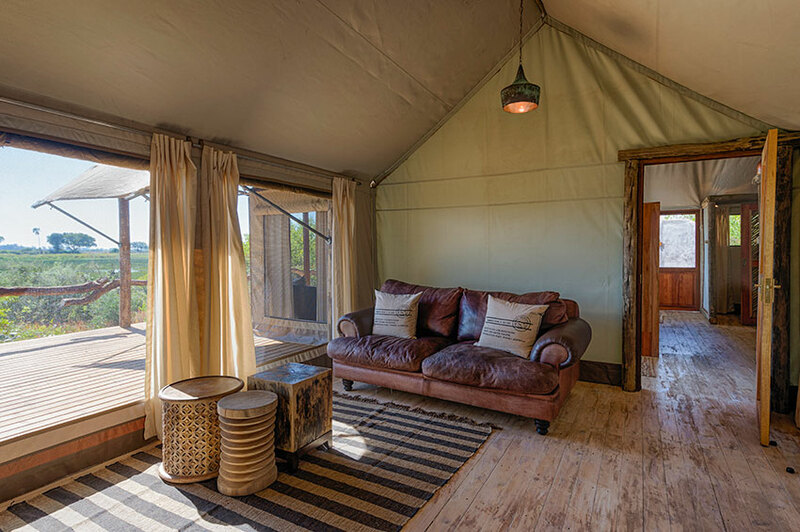 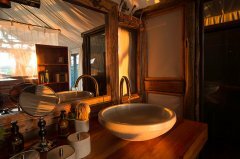 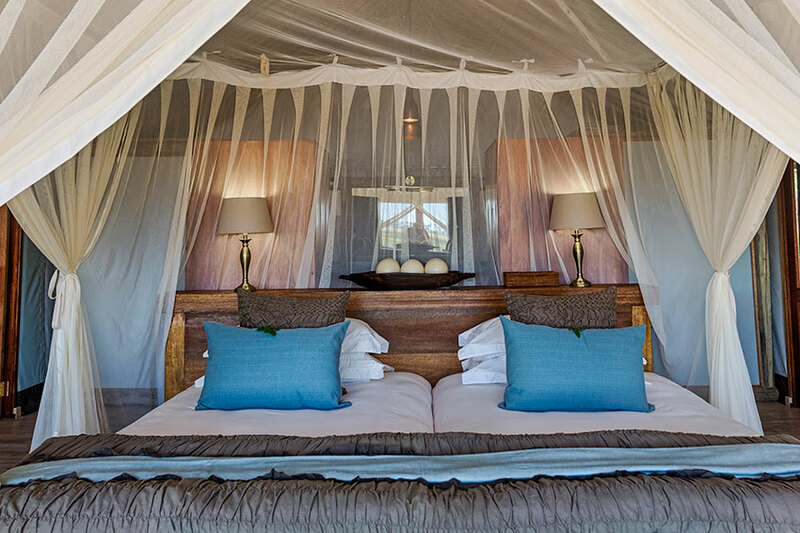 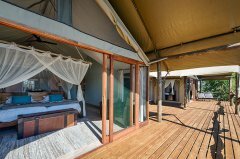 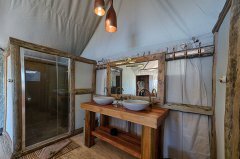 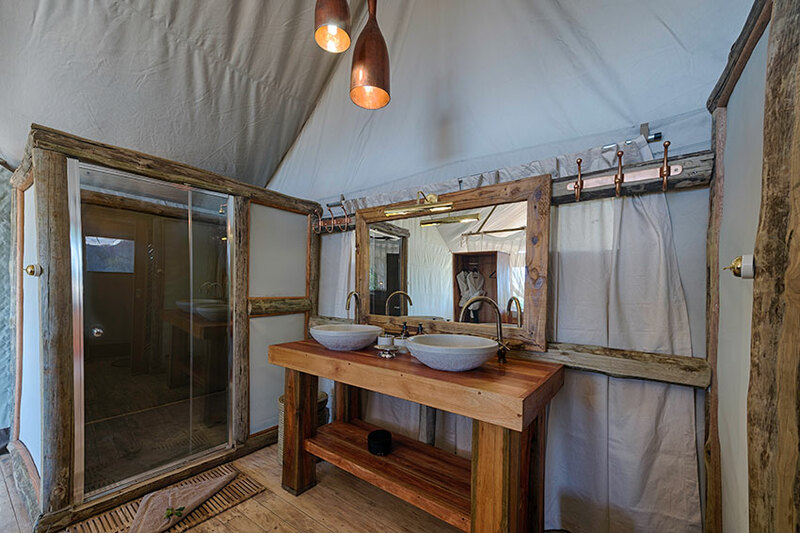 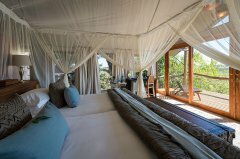 Fall asleep under the stars at the local hide, listening to the reed frogs and crickets as you do. 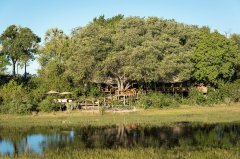 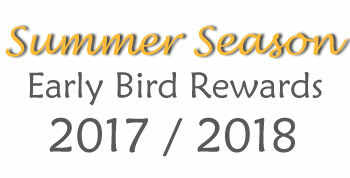 Tick off African skimmer, Pel’s fishing-owl and other specials in one of the best birding areas. 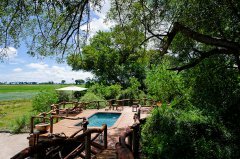 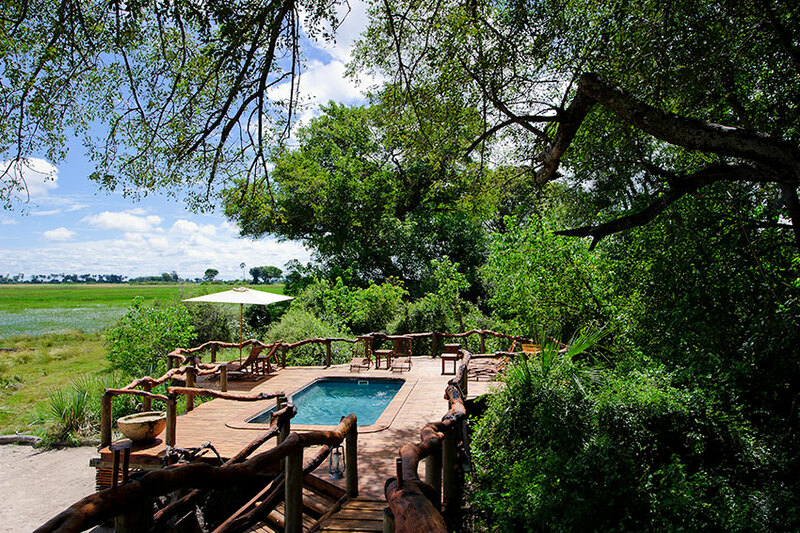 Enjoy the sun at the pool while looking out across classic Okavango scenery. 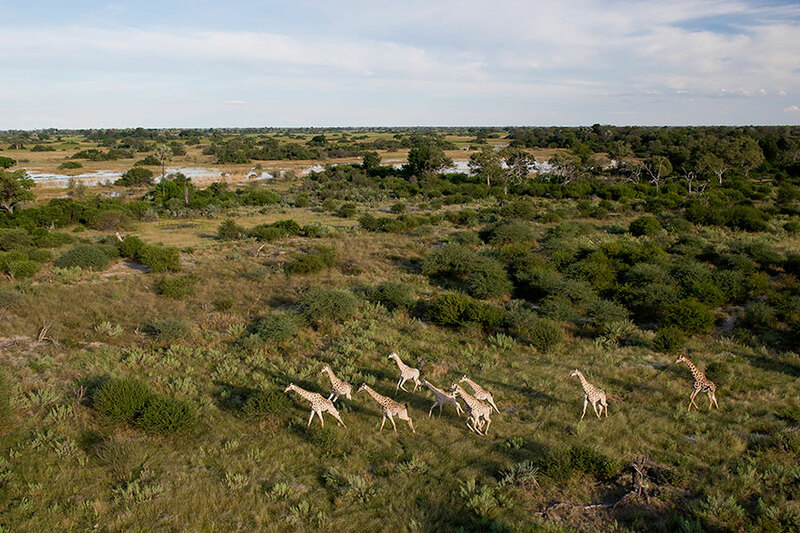 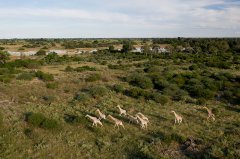 Watch the red lechwe leaping through the water-logged floodplains.